From the February 2018 Desktop News | For some time, Cameryn Blackmore has held foremost in her mind a career goal of helping people in her community. Now that the American Political Science Association has named Blackmore a 2017-18 APSA Minority Fellowship Program Fellow for the spring cycle, she has the connections to network nationally and reach her goal. “I feel accomplished, but more so that I’m on the right track because the American Political Science Association is the top association in the field,” said Blackmore, a University of Alabama political science doctoral candidate. The Minority Fellows Program is a fellowship competition for individuals from underrepresented backgrounds applying to or in the early stages of doctoral programs in political science, according to its website.  The MFP was established in 1969 to increase the number of minority scholars in the discipline. Each year APSA awards up to 12 funded fellowships in the amount of $4,000 for the fall cycle and 23 awards ranging between $500-$1,000 for the spring cycle, to support doctoral degree expenses. “Like any graduate student, you’re constantly looking for money and to get your name out there for job market purposes. I was doing that one day, and I came across the fellowship. Dr. Joseph L. Smith, an associate professor and chair of UA’s political science department, said Blackmore receiving the fellowship does not surprise him. He said she’s everything they could want in a graduate student. “She is committed to her studies and an excellent participant in graduate seminars,” Smith said. “She’s an excellent teacher and is making very good progress toward an ambitious dissertation project. Blackmore, a 29-year-old from Baton Rouge, Louisiana, was selected over the summer. “I would like to go on to be a professor at a research institution like The University of Alabama,” she said. “My research is education policy for K-12. I’m looking at how judicial policy making has affected the education field. Blackmore said her time at UA has been an enormous blessing to her. The political science faculty, particularly Smith, guided her towards her current research field. 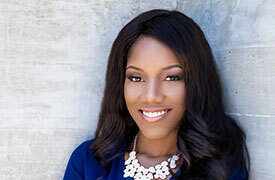 Blackmore received her bachelor’s degree from Southeastern Louisiana University in political science in 2010 and her master’s in public administration from Southern University in 2013.